Well Do let me know! :D. Sorry for not being active since the last few days, I was busy with a lot of things! Project, classes, Saraswati puja , Valentine’s week and endless marriages ! so even when I came home I had to be somewhere ! But, finally I am free now, well a little! But I have missed being this side of my life! Blogging has become such an important part of my life! Well, enough of my random “bak-bak” :P( I love to keep on talking :D ),now I’ll get to the awesome aroma oil blend that kept me sane through the week! 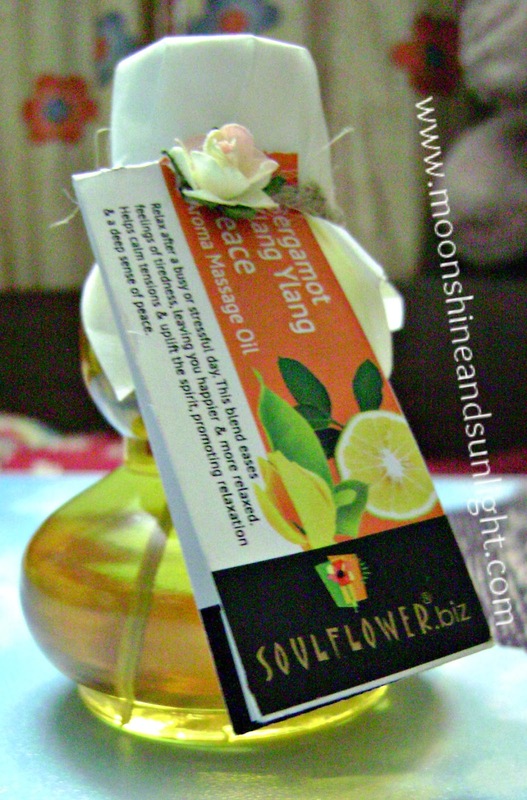 I am reviewing Soulflower’s latest Aroma oil blend meant for massage which is aptly named! I am reviewing the PEACE blend, which has got Bergamot and Ylang-Ylang essential oil as its main component. 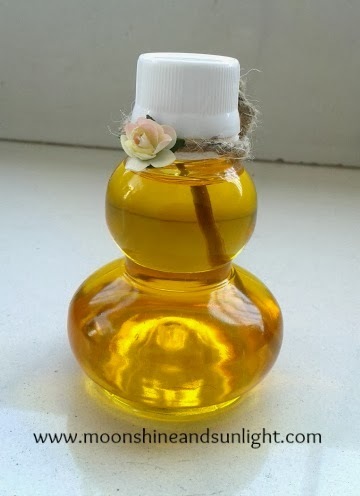 Packaging: - The aroma oil comes in clear plastic bottle, which is two tiered and reminds me of vintage decanter flower vase! Looove vintage stuff! :D It has got a white screw cap which has a dropper making it easier for use. And the plastic bottle makes it travel friendly. And when you buy this the packaging is really cute! 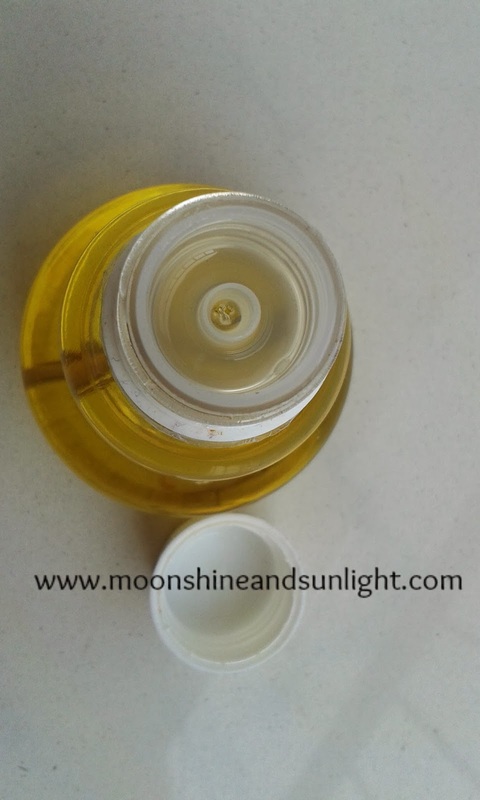 Ingredients :-Ylang-ylang , marjoram , bergamot essential oil, Vitamin E, jojoba, rice bran, olive and sesame oil. 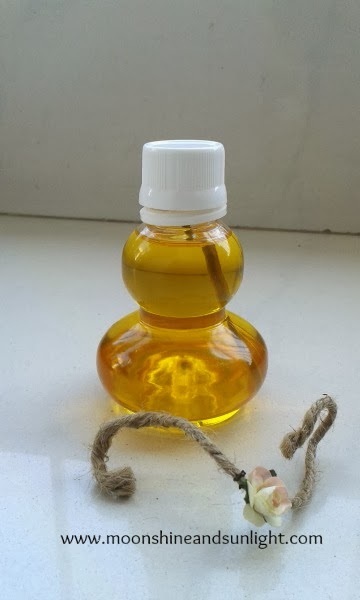 Aroma:-This has got a very mild and calming aroma and the slight aroma of oilive and sesame me oil which is only detectable if you carefully smell, not overpowering at all. Extremely mild and stays on for a really long time. I HIGHLY recommend this. The bergamot in the oil blend relaxes your nerves and reduces body pain. I have mostly used this on the pressure points and on my wrists before going to bed at night and this really have helped me a lot to relax my mind. I could stay without my lavender for a while and which, believe me, is a BIG thing. I have used this once for massage and even my father liked it. 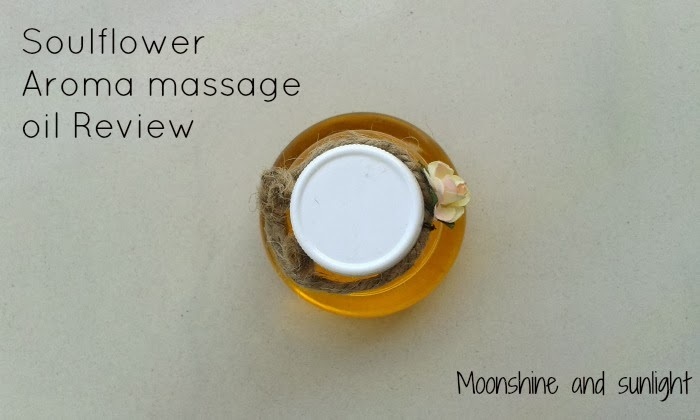 Makes a great neck massage oil especially before your night’s sleep. Ylang-ylang is good for reducing stress. The absorption is very quick especially because of the blend. 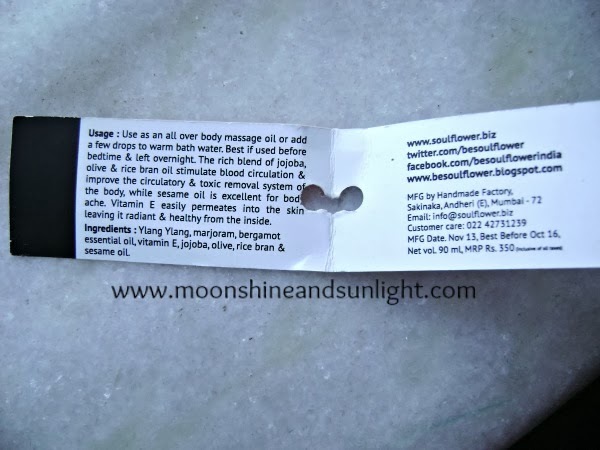 The only thing you need to take care is not to expose the bottle to direct sunlight and not to go immediately out in the sun because this has got Bergamot in this . Click to read more about the benefits of bergamot , ylang-ylang essential oils. Yup! awesome for neck massage! do try this soon! 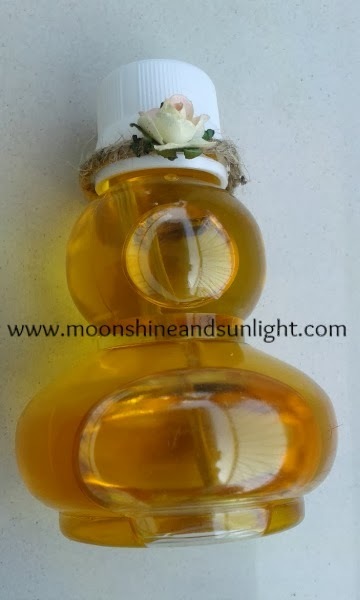 How cute is that bottle! Nice review Priyanjana! Nice Review! Looking forward to try it soon. Sounds good...thinking of getting this for mom, as she complains of joint/muscle pains and all..might be helpful..
oh so cuuuuuuuuuuute bottle ! lovely review ! Sounds great.. Looks very cute too! I love anything calming before bed since I am a bit of an insomniac. I like putting oil on my hands before bed as it keeps my hands and cuticles moisturized, but also, if it has a calming fragrance, it soothes me to sleep.